Aoni Production has announced that seiyuu Kazunari Tanaka died on October 10, 2016 from a brainstem hemorrhage. He was 49 years old. Tanaka's first main role was Katsuya Kimura from the Jigoku Sensei Nube series. Tanaka also voiced the main protagonist Hachimaki in Planetes. 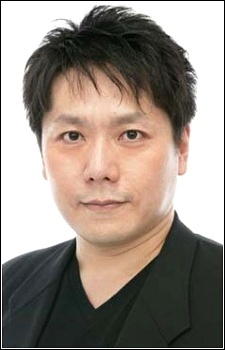 In addition, he voiced minor characters in popular series such as Minori Kishimoto in Slam Dunk, Abirama Redder in Bleach, Ken Kato in Gintama, and more. His most recent role was Keishin Ukai in the third season of the anime adaptation of Haikyuu!!. He was also the vocalist and guitarist of the band Doutonburi Divers. WHAT THE HELL?! How can this be?! Studio should've spliced his old voice clips to fit into the last two episodes rather than using another VA! It breaks my heart! Ukai-kantoku is Tanaka Kazunari! I'm sure Hisao tried his best but he wasn't even close to Tanaka in episode 9. Really sad watching that episode. I know him as DB Kado. May his soul rest in peace. I only knew of him recently as Coach Ukai. His work there was marveleous and he'd make even better series if it weren't for his condition. I'm very sorry. He will be missed. It was just announced that Hisao Egawa will be voicing Keishin Ukai starting episodd 9 of Haikyuu!! : Karasuno Koukou VS Shiratorizawa Gakuen Koukou. Too many people on the anime industry die on band these days and it worries me. Rest in peace Kazunari-san we really love your voice!! Haikyuu and Detective Conan will never be the same without you!! Well that is definitely unfortunate. I wish I knew why there was hemorrhaging. Sadly I've never really watch much of his work either. There really isn't much that interests me either =/. Sad times. I really liked his role as Hachimaki. :sob: I hope he rests in peace!